This week, my 2014 i3 REx turned three years old; I picked it up on May 21, 2014. For the most part I’ve been very pleased with the car. It’s definitely not perfect, but then again no car is. It has fit my needs and driving demands perfectly and I only needed to drive on the range extender for about 2,700 of the 71,000 miles that I've driven the car. 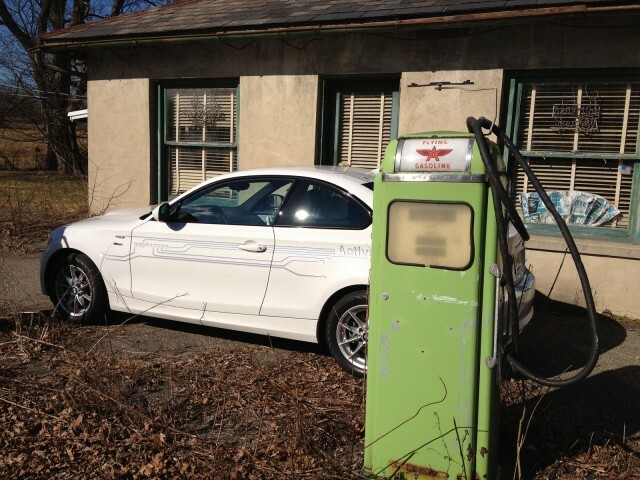 When the i3 first launched, I was disappointed that the EPA range for the BEV was only 81 miles per charge. I had really expected BMW to deliver the i3 with 100 miles of range right from the start. 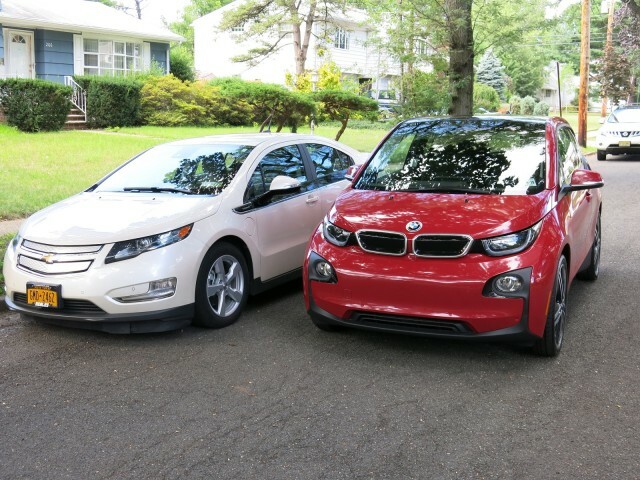 After all, the MINI-E and ActiveE trial lease programs that preceded the i3 both employed vehicles that were capable of 100 miles under favorable weather conditions. So when the EPA range rating was finally revealed, it was clear that I needed to get the optional range extender to satisfy my driving requirements. After three years, I can definitely look back and say it was the right decision. I may have only used the REx for 2,700 of those 71,000 miles, but when I needed it, I really needed it. Without the REx, there would have been many days when I didn’t use the car, for fear of not making my destination. I’d probably have about 15,000 less miles on the car than I do now. After living with my i3 for three years now, I have a good understanding of what I like about it, and what I’d like to see improved. While overall I’ve been very pleased with the car, there are aspects that I’m not necessarily fond of. Here are some of the things I believe BMW should change and/or improve to make the i3 even better. I understand what BMW was aiming for when they decided to use tall, thin tires on the i3. The engineers were tasked with making the i3 the most efficient car available; the reduced drag from tires with a smaller cross-section helped them succeed, and the i3 held that global title for two years. I’m sure wider tires would have cut a little into the efficiency, and perhaps cost a couple of miles of battery range, but in my opinion, they would have been worth it. Better rubber would improve the handling and give the car a more planted feel. 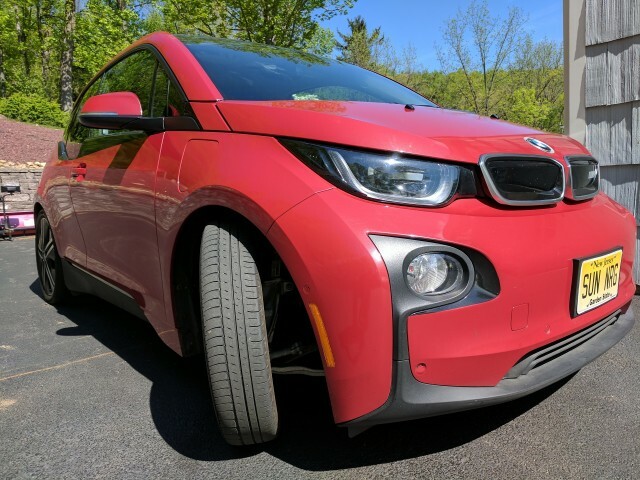 The i3’s tires are so thin that from time to time they tend to get caught in irregular grooves in the pavement, requiring the driver to make a correction. Also, the lack of a large contact patch makes the car feel skittish at highway speeds, especially in windy conditions. They're also seemingly more prone to sidewall damage, and even to picking up road debris like nails & screws. It may be hard to prove, but a lot of i3 owners complain about the frequency of flats they've experienced. I too have been hit by i3 flats; I've had a total of six flat tires in my three years. I don’t think I’ve had more than six flats total over 30 years of driving. So I’ve either had exceptionally bad luck, or there's something about these tires that makes them more prone to damage. The i3 is the sole car that uses these unusually sized tires, so they're not made in high volume, and hence not always available. Some BMW i3 owners have reported waiting three to four weeks for their dealer to get tires into stock. Finally, they also seem to wear out quickly. 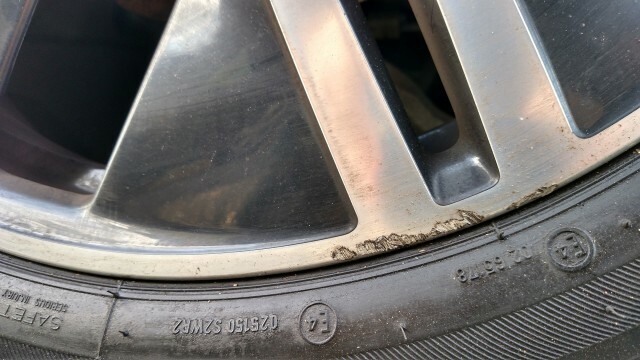 I’ve gotten over 20,000 miles on my tires before needing to replace them, but numerous i3 drivers report their tires being completely worn out after less than 15,000 miles on the road. To me, the i3’s tires are its single biggest flaw. When a second-generation i3 is released, I’d like to see BMW replace them with more traditionally-sized tires that can be ordered from a variety of manufacturers. BMW i3 buyers expect advanced technology, but some of those features have flaws. Unfortunately, the Adaptive Cruise Control occasionally disengages by itself, and it doesn't recognize certain vehicles, apparently because of their taillight configuration. My car will drive right into the rear of a Dodge Charger, for instance, because for some reason the Charger's taillights (which extend around the entire rear of the vehicle) confuse the system. Direct sunlight and, sometimes, even overpasses can also cause the system to shut off. Still, even with its flaws, I use the system all of the time and really love it: I just want it to work better. The Parking Assistant is an automated parking feature that does an incredible job of parking the i3 in very tiny parking spots. It only needs an opening 22 inches longer than the car, and it will get it into the space. The problem is, I've had numerous people tell me that their car rubbed the curb during the automated parking, scratching the rims. It happened to me once, and that was enough for me to stop using it because it had damaged the wheel. I believe the system has an inherent flaw that needs to be fixed; for now I recommend that i3 owners not use the Parking Assistant until BMW improves it. Unless, of course, you don’t mind curb rash and the costly repair or replacement of very special wheels that it entails. 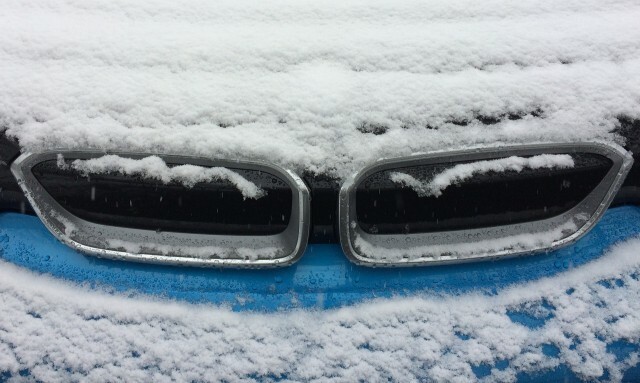 The lack of a heated steering wheel on the i3 is a real head-scratcher. Just about every serious electric vehicle offers one, and there’s a good reason for that. Cabin heaters require a fair amount of energy, and using them can significantly cut into the vehicle’s range. Electric-car drivers have learned they can save energy and maximize their range by using seat heaters instead of the cabin heat. Having a heated steering wheel absolutely improves comfort, and consequently, it lets the driver reduce the use of the cabin heater even more. Additionally, without heated seats in the rear, using cabin heat becomes necessary if any passengers are sitting in the back. I could understand not including a heated wheel and rear seat heaters if the i3 were an entry-level car, but it’s not: a well-equipped i3 exceeds $50,000. At that price, it should have all the premium comfort options available. BMW needs to make these features available on the i3 as soon as possible. The BMW i3 has very good outward vision for a modern car. The seating position is high and there’s a lot of glass to look through, including a very large windshield. However the windshield wipers have an annoying habit of dragging water back into the driver’s field of vision. This is a little bit of a nitpick, granted, but it can be annoying—and I’d like to see BMW figure out a way to eliminate it. Watch how the wiper blade pulls the water back into the driver's field of vision when it changes direction in the video above. Another complaint is the tiny sun visors, which don’t have extenders as those in many other cars do. Because of this, there's a huge gap where the sun can poke through and interfere with the driver’s vision. Unfortunately, I’ve had quite a few reliability issues with my car. Thankfully, all except one were covered under than warranty. Among the list of problems I've had are: a bad voltage regulator, a short-circuit in the battery’s heating element, a failure in the onboard charger, a fuel-door release mechanism that was flaky and had to be replaced, a faulty fuel-pressure sensor, incorrect state-of-charge readings that had to be recalibrated, and a passenger-side airbag that was recalled and had to be replaced. All of those were repaired under warranty; the one thing I ended up having to pay for were replacements for the front strut mounts, which failed at about 60,000-mile mark. That little repair cost me about $1,200. My battery had to be removed to replace its failed heating element, above. On the other hand, I know plenty of 2014 BMW i3 owners who took delivery as early as I did and haven’t had a single problem to report. While my i3 hasn’t been my most reliable car, there is possible good news to report. 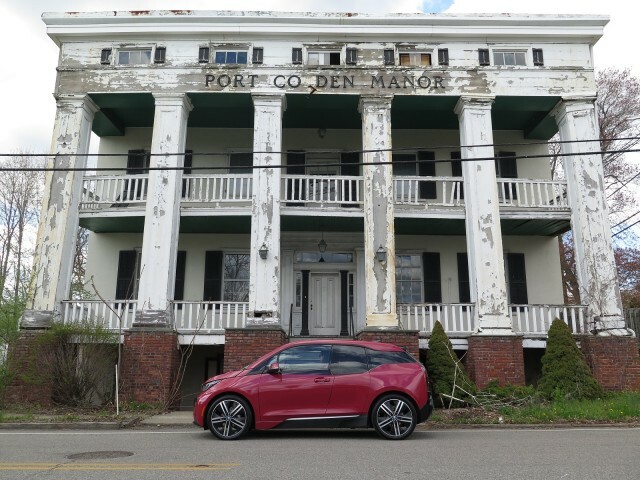 My car was a very early build, in fact the first range-extended BMW i3 REx sold in the U.S., and the i3s that seem to have had more problems than most are, in many cases, some of the first cars sold. While I probably wouldn’t recommend buying a used 2014 i3 that’s out of warranty, I wouldn’t hesitate to buy a used 2015 or later BMW i3. The one thing that continues to impress me about the BMW i3 is how enjoyable it is to drive. Three years later, I still really enjoy driving it every day. The one-pedal driving experience provided by its strong regenerative braking is something all electric cars should have, in my opinion, and the adaptive cruise control ACC helps make commuting a breeze even on more congested highways. I really love the minimalist interior. Everything seems to be placed exactly where I’d put it if I were designing the car. The seats are very comfortable and, as noted before, the outward vision is exceptionally good. The car hasn’t had any squeaks or rattles, and it still feels solid like a new car. I was a little concerned about how the interior might hold up, because BMW used a lot of new materials in the i3. To promote sustainable manufacturing, much of the interior is made from recycled plastics. There are also door and dash panels made from lightweight kenaf fibers, a material BMW had never worked with before the i3. Even the leather seats are made differently: the leather is tanned with an olive-leaf extract, without the use of any of the harsh chemicals normally found in the tanning process. I was concerned that the seats might wear faster or crack prematurely, but that hasn’t happened. My seats show no visible signs of wear. The way BMW decided to implement the range-extending two-cylinder engine for North American buyers has been, to say the least, controversial. 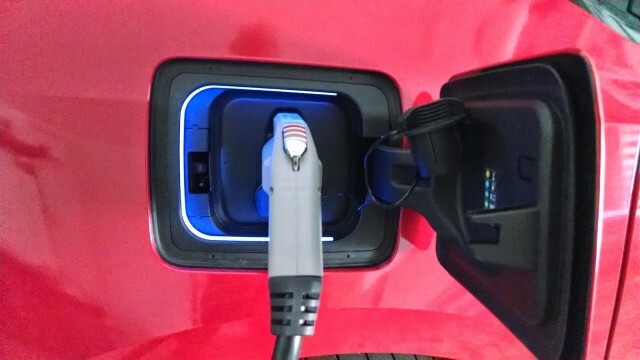 To qualify the i3 as a so-called BEVx under California Air Resources Board rules, thereby garnering more credits for the manufacturer under CARB's zero-emission vehicle sales requirements, BMW restricted the point at which the range extender can activate. These restrictions, and the removal of the battery's Hold Mode via software led to a lot of criticism and even a class action lawsuit. This topic has been covered on multiple occasions and I'm not going to go into the details of it here, but no long-term review would be complete without at least mentioning it. Personally, I haven't had any issue with the reduced engine power that quite a few i3 REx owners have experienced. That's primarily due to where I drive: here in New Jersey, the roads are relatively flat. Sure, there are some hills to climb, but we don't really have mountain passes that require climbing thousands of feet at highway speeds, which is the kind of driving that overtaxes the small 0.65-liter REx engine. Plus, since I understand how the car works, I keep an eye on the state of charge. When it starts to drop below 3 percent in range-extended mode, I slow down a little and there's no problem. I've used the car for a few road trips to Vermont, Pennsylvania, and upstate New York, and not once have I had the reduced-power issue. I've found that if I set the cruise control at 70 mph or less, I can pretty much drive anywhere with the REx running, without power loss. That's not to say this problem isn't an issue. I have friends in California who like to drive to Lake Tahoe, and the range extender just doesn't supply enough power to make the long mountain climb there. The decision to eliminate the Hold State that conserves battery range really limited the car's utility, most likely cost BMW some sales, and in the end caused the company a lot of headaches. I really hope the extra CARB credits were worth it, because it definitely tarnished the ownership experience for a lot of i3 REx owners. The 2014 i3 REx had an EPA electric-range rating of 72 miles per charge. I've been keeping records of my range to monitor the battery capacity loss over time and so far it's been very promising. Living in New Jersey, I like to split the year in half when I talk about range. In warmer months (April through September), when the car was new I averaged 78 miles per charge. 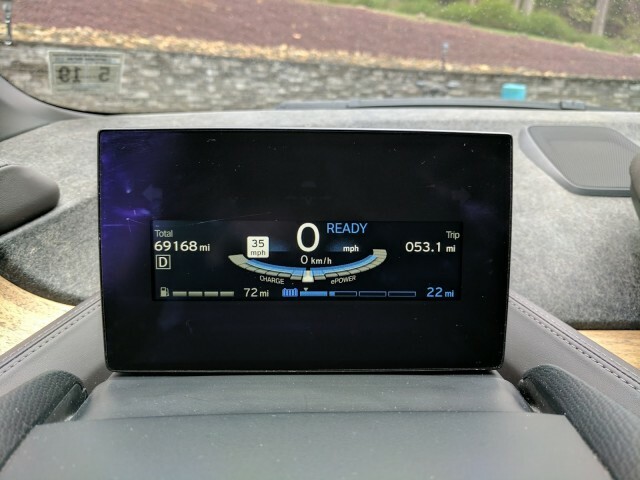 In colder months (October through March), I averaged 65 miles per charge. After 3 years and more than 70,000 miles, I'm still averaging 75 miles per charge in the warmer months and 63 miles per charge during the colder months. I recently dedicated a blog post to this topic, discussing the methods used to calculate my range and the battery-capacity loss. 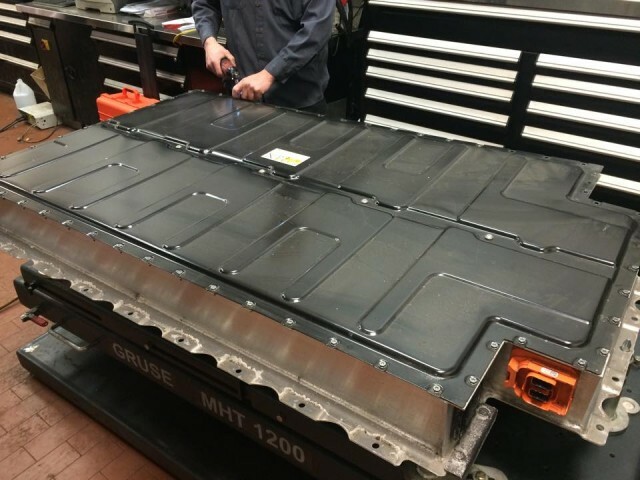 The minimal loss of range after three years and 70,000 miles indicates the Samsung battery cells used by BMW, along with the battery's thermal-management system, ensure many years and many miles of use for i3 owners. 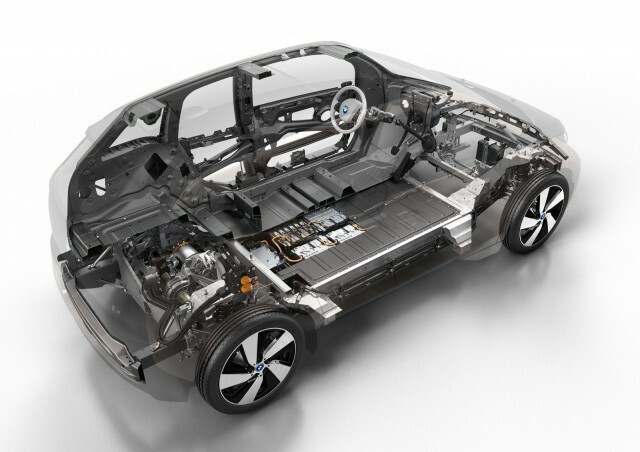 I doubt that BMW will have to pay out on many battery-capacity loss claims, as its warranty guarantees at least 70 percent capacity for 8 years or 100,000 miles. I’ve needed to buy 72 gallons of gas for the 2,700 miles I drove with the range extender running, which is an average of 37.5 mpg. Since I’m at 71,000 total miles now, my lifetime MPG is just under 1,000 miles per gallon. In total, I’ve spent about $200 on gas. As for my electric consumption, again it’s a tale of two seasons. From April through September I’m averaging 4.2 miles per kWh. However from October through March my efficiency takes a hit with the colder temperatures here in New Jersey, necessitating the use of the cabin heater. During those months I averaged about 3.7 miles per kWh. Adding in the 8 percent to 9 percent charging losses incurred, that comes out to a total of about 19,000 kWh of electricity. At the $.11 per kWh I pay in New Jersey, the electricity cost would be about $2,100. Therefore, the total cost to refuel my car over the past three years would have been about $2,300. I say “would have been” because I have a solar array that provides about 90 percent of the electricity required to power my home and my car. In reality, I’ve probably paid somewhere around $1,000 out of pocket in total because I sometimes charge at work where I do pay the 11 cents per kWh listed above. Using the full $2,300 figure (what someone without a solar system, living in New Jersey would have to pay) the car cost about 3.2 cents per mile in fuel. While it may seem that I have a lot of nitpicks and complaints, the truth is that I really do love my BMW i3 REx. I still enjoy talking to people who ask me about it. Even though it's been on the market for three years now people continue to stop me in parking lots and ask questions. I suppose that's partially because of its unconventional styling, but lately I'm getting more, "That's the electric BMW, right? I heard about that. How do you like it?" As much as I like it for the driving experience, I'm still really impressed with how much effort BMW put into making a car unlike anything it had made before. Pretty much everything about the i3 is different. 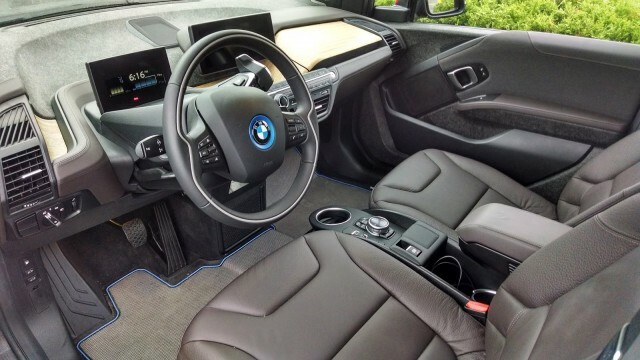 From the carbon-fiber-reinforced plastic body shell to the aluminum frame, from the thermoplastic body panels to the kenaf fiber dashboard, BMW stepped way outside its comfort zone to make the i3, and I applaud that. Too often automakers play it safe and stay close to what they know works. The i3 is totally different in every way, and it really has a futuristic feel to it. BMW could have easily made an electric "compliance car" in the least expensive way possible, as some other carmakers have, but it chose not to. Sure, the styling is very unconventional—and many people don't like it—but it's really grown on me. Next year, BMW will give the i3 a mild refresh, and if the rumors are correct, it will also introduce a new "i3 Sport" model. If that's true, it may just be time for me to upgrade..